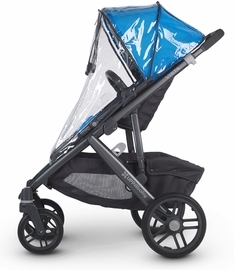 After MUCH research for strollers that would grow with your family, we chose this one. We debated because of the cost but ultimately after trying it out in person, we had to have it. With our first child we spent a pretty penny on the Orbit and loved it, only downfall being the storage. Unfortunately by the time we had our second, they stopped making the Orbit so we couldn�€™t easily find the attachments, second seat, etc and resulted to buying an attractive stroller that just didn�€™t move well. We were hesitant to spend the money the second time around. Now we realize what a mistake that was and regret not getting the UPPAbaby sooner. It�€™s ease of use is just off the charts and one of the best components to me is the ease of maneuverability. It moves so smoothly, I can stroll it with one hand even with two bigger children in it. I can�€™t say enough about it. 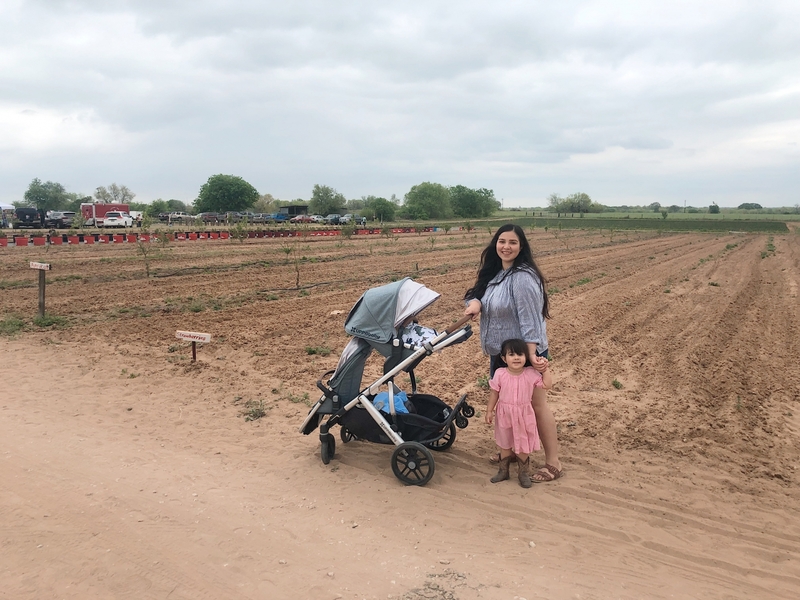 Yes, the price is steep but the way that Albee Baby gives you rewards points for your purchase we were able to get another seat and accessories without spending a dime. I�€™m very pleased with this purchase. 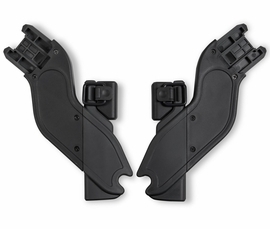 ProsManeuverability, attractive design, durability, ease of use. Perfect stroller for growing family. I was on the fence about purchasing such a pricey double at first but oh my goodness this stroller is worth every penny. Beautifully made and so easy to use. My daughter sits in the rumble and my 3 month old is usually reclined back in the toddler seat. We have used it almost every day since purchasing. I have no complaints whatsoever. What�€™s even better is adding on the piggy back board. 3 babies in one stroller! The dream! Love my uppababy vista it�€™s great quality and super easy to use. 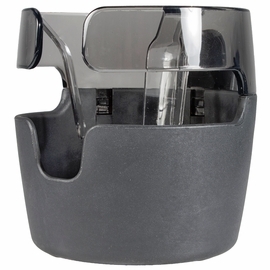 ProsHuge basket, easy to push, easy to fold and assemble. Come with a bassinet. I have owned at least a dozen strollers. I recently had baby #11 and because we had an almost 4 year gap from the last baby I wanted to invest in a nice stroller system. Baby 11 was born at 36 weeks. The Mesa car seat was the best one for premie size babies and we had to do a car seat challenge at the hospital where she sat in it for 90 min with an oxygen monitor in order to leave the hospital. Because the car seat has a built in newborn insert we didn�€™t need to bother with extra neck rests. She passed the test without having to adjust her neck or anything. The bassinet is amazing. It�€™s soft and roomy and allows me to take her out with me to the beach/pool while her siblings play and she can nap. The stroller is unreal. 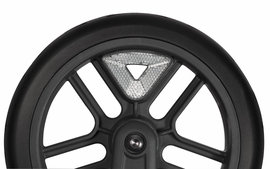 It is so easy to push, wheels do not squeak, and is so easy to adjust. I researched strollers for weeks and this system was worth every penny. The fabric is high quality and basket is huge under stroller. Love the leather handlebar. Had all my other strollers foam padding rip off and that is annoying. If there is one purchase you want to save for it�€™s the vista system. 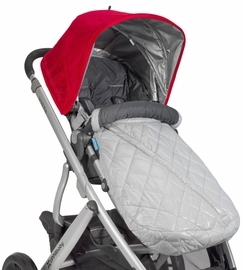 Buy everything else gently used and splurge on this stroller! 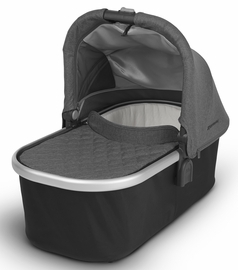 ProsHigh quality fabric, well made frame and wheels, easy to assemble and fold up, roomy bassinet, best car seat ever for premies and small newborns, glides easy with light push, adjustable everything easy to adjust. We absolutely love this stroller! It is durable and seems so comfy. Lots of room for storage in the basket! Love this stroller!! Easy to use and my kids loved it too! I literally struggled to find a double stroller that I could honestly say I loved. 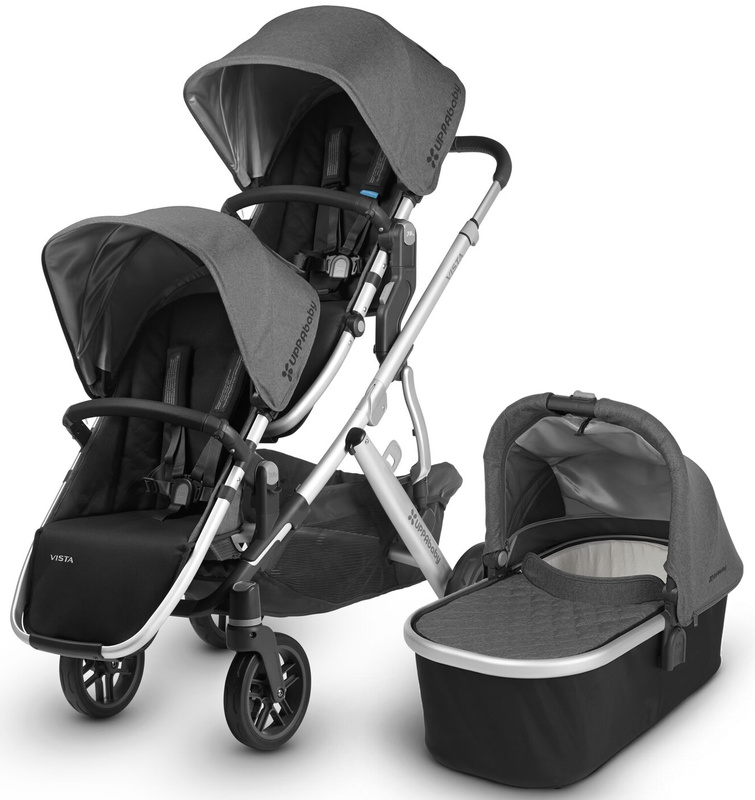 We love our uppababy vista double stroller. Since this purchase going out with my two kids has been so easy. ProsDouble stroller with a single stroller feeling. ConsThe storing. I have to take off both seats to store away. We received our Vista Double Stroller yesterday and I couldn't be more excited to use it. It was fairly simple to put together and super easy to switch between different configurations. I haven't tried to load it in and out of the car yet, but it is much easier to handle than cheaper options on the market. We bought it anticipating the arrival of our third baby in a few months. My toddlers can't wait for it to stop raining to start using the stroller. Cons- My tall 4 year old is too tall to lean back in the seat. I don't anticipate him wanting to ride frequently, so it wasn't a big concern for me. Bought this for my step daughter who is expecting twins in a few months and she absolutely loves this stroller. It shipped very quickly. Only thing is we received the standard vista first, still waiting for rumble seat but am expecting it soon. 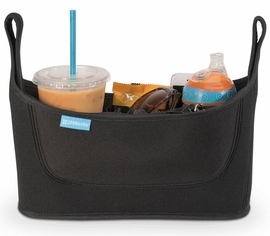 This is my first purchase from albeebaby and the rewards program is awesome. Definitely recommend them for all future purchases. This stroller is great when you have two little ones. 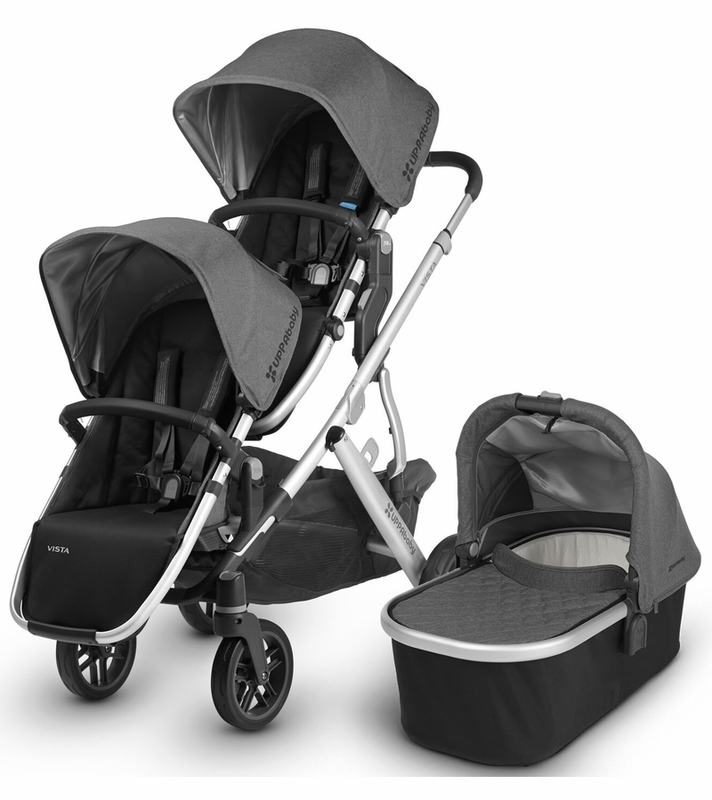 I have a Cruz and love it so when I needed a double stroller I didn�€™t need to look any further. The only difference I�€™ve noticed between the Vista and the Cruz is that the Cruz is easier to maneuver around - that could also simply be because of the weight difference. Overall great stroller. We bought the UPPAbaby system, and we absolutely love it. 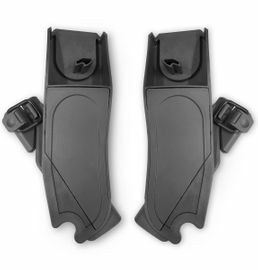 There's nothing about this stroller/car seat system that is not user friendly. 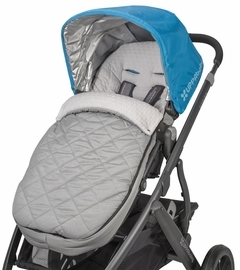 The stroller rides exceptionally well, and the car seat perfectly protects our little one. Our little one wasn't a fan of the bassinet, but maybe our next child will like it. We love our new stroller! 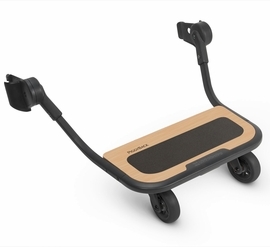 It has such a smooth ride, and is super easy to maneuver. Well worth the money. Good quality product, got delivered quickly. I highly recommend. I absolutely love my new double stroller! 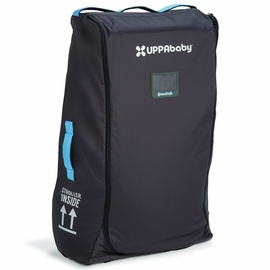 I wish I would of gotten the uppababy vista from the start! Feels like your pushing nothing! ProsEasily turns and love the huge basket. So easy to lock and unlock the wheels! My husband and I are first time parents, we knew right away that we wanted the best of the best when it came down to strollers. The best part of the stroller is that it becomes a double stroller, specially since we will be loooing to expand our family after the first. Albeebaby made it simple and easy for us, we are so happy with this purchase. I�€™ve been eyeing this stroller for a while now. I love everything about it. I was debating between this and the silver cross wave. I didn�€™t know which store or website to order it from, until I saw that Albee baby has a rewards program. Great deal! This is my second Vista. The upgrades on the 2018 are worth the price difference! 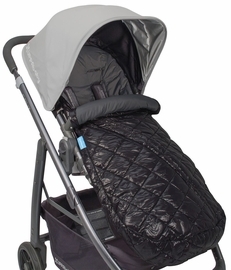 The bassinet feels so much larger and the seat fabrics/leather accents are so stylish! 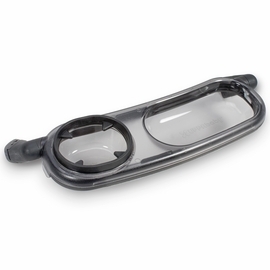 Also was very pleased to find that I could purchase the Nuna ring adapter to make my stroller complete with a Nuna Pipa Lite! We love our new Vista travel system. My only regret is that I didn't get it sooner. We are expanding our family, and my current travel system does not accommodate 2 children. I wish I had purchased the Vista for the first child, so that I could just easily convert to 2. High quality and well worth the price. Easy to put together and customer service answers immediately if you need help. I highly recommend the UPPAbaby 2018 Vista + Mesa Travel asystem. I am very happy I splurged on this system. ProsHandsome, high quality, great customer service should you have a question. My Mom and I bought this stroller and car seat for my brother and wife. 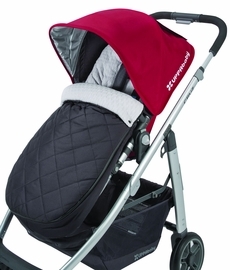 The stroller is so luxurious, and it rides smoothly. It's beautiful and the best part of it's luxurious! Love the luxurious look and functionality! This stroller is made for us, for families with two kids, one hiperactive and a brand new baby, UppaBaby is the best investment you�€™ll ever do, because of it classification and many useful features, easy operable even with one hand, easy to detach the seats, my baby sleeps very good in the bassinet and I think it�€™s comfy too! This stroller is beautiful! Great price, fast shipping! We absolutely love this stroller. Tons of room on the bottom. The car seat and toddler seat are so easy to interchange. Extremely well made. So happy we spent the money!!! After trial and error, this is by far the best system. We wished that we could have just started our family with this. Ease of use is great. 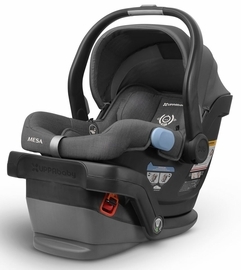 I love how the car seat base can be installed and not have to deal with pulling on the seat belts, the anchors auto ratchet as you push down on the base. ProsEase of use. 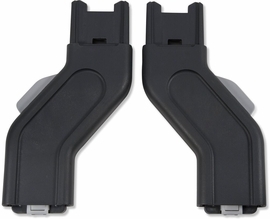 Car seat base ratchets as you make it tighter. The ability to transform from one child to two child stroller. My husband calls it the Cadillac of strollers now with the upgrades its even better. My number one concern with the 2016 model was the width of the stroller but now on the 2018 models they come about 2 inches less wide. Its the best stroller on the market in my opinion. I can't wait to try it out with baby number two! This is the stroller of my dreams! No chemicals, all natural, very versatile. I couldn't ask for anything more! I just received my stroller and the quality is insane! The new fabric for the 2018 Jordan is soooo soft! the stroller moves great and looks amazing. I ordered a lot of attachments as well and im still waiting for those to arrive but this is going to be a great double stroller. This stroller is great! Super light weight and easy to close. I also love how can just have the one seat attached for one child whenever. Worth the money. This is the best bundle you can get! Just three in one, all comes at the same time so you don't have to purchase it separately. 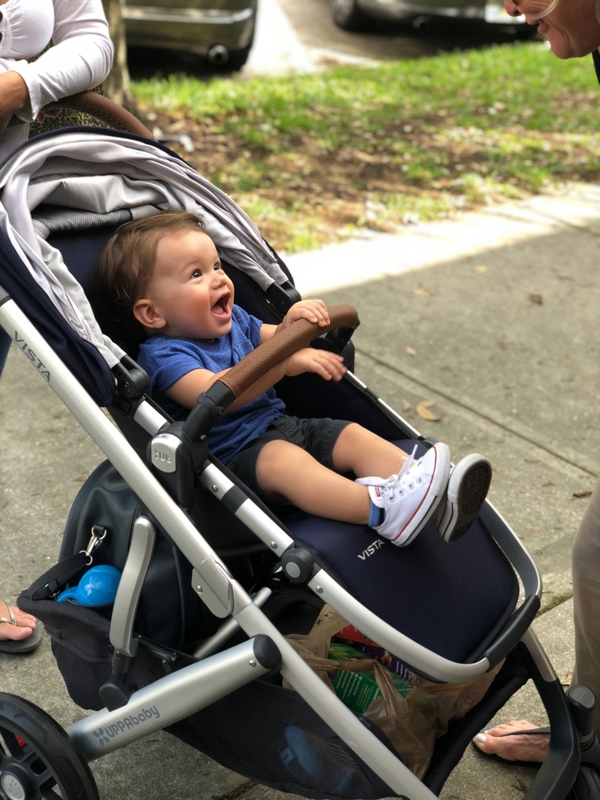 The stroller is fantastic, and the carseat feels super light!